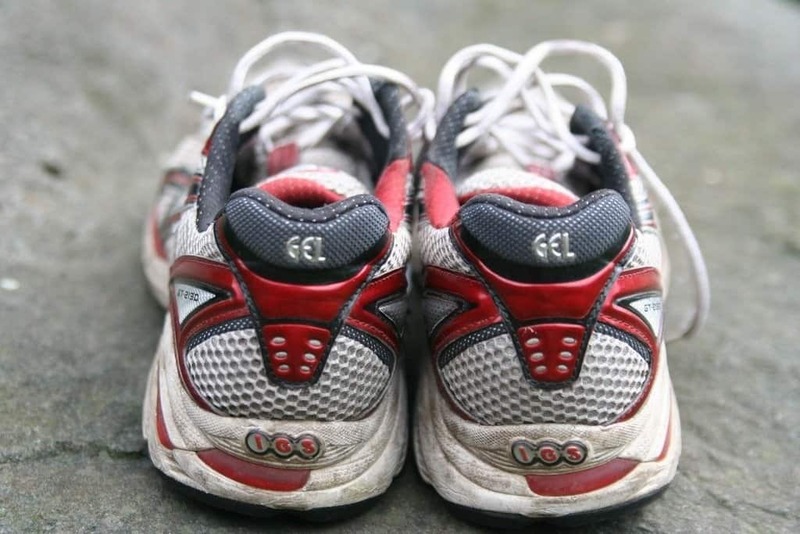 Running has been mu personal hobby for several years. It has improved cardiovascular fitness and helped me maintain a healthy weight. I have been a morning runner for about four years. I struggle sometimes wanting to get up and get out for my run. Some mornings are just too (damn) cold. Earlier this year I put myself into a pickle. Do I stay tucked under my warm cozy blankets or venture out into my routine morning run. I have always had ear issues, ever before I was running. From ear infections to cauliflower ear from sports. Running always made my ears cold. Thank god for ear muffs. In case you are curious, according to ZocDoc ears get cold easily because of how exposed they are. When I was looking to purchase the pair I had three rules: just a simple pair to keep my ears warm, a snug fit that does not move around as a I run and rather inexpensive pair. Below I break down what to look for, some great insight from my research and my recommendations with reviews. Woman's Day Magazine put together a nine different things about your ears you may not be aware of. Here are the ear muffs that I include with links so you can check pricing on Amazon. They come in different styles, colors and shapes. 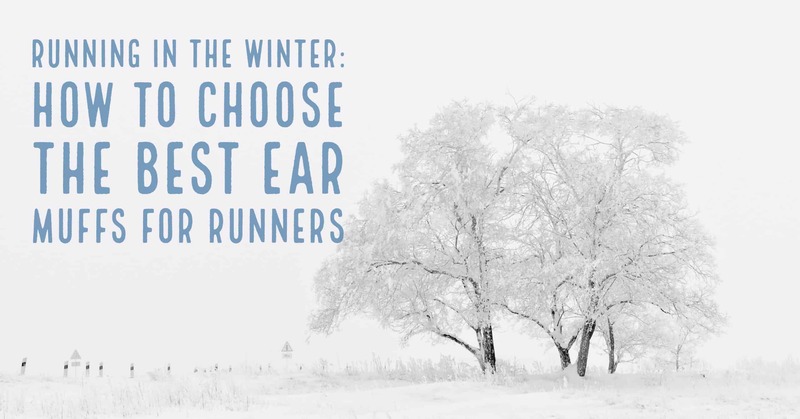 What Makes a Great Ear Muff for a Runner? They are ideal for those runners who want to listen to their best music from their mp3 players even during the winter season. They are ideal for those who get too hot when they wear a hat but yet get too cold without. They are perfect for those who care about the health of their ears. Admittedly, every runner prioritizes comfort. The earmuff you choose should be 100% comfortable to ensure that your outdoor adventure is an exciting one. Remember, your ears are very vulnerable and extremely sensitive, and if you use uncomfortable earmuffs, you can be easily susceptible to headaches. Earmuffs that come with adjustment straps are the best because they allow you to doctor the piece to fit your comfort level. The mesh material should be breathable to allow some of the outside air to enter for fresh breath. Plus, the inside of the ear warmer should not get uncomfortably warm. On the other hand, the warmth provided by an earmuff should be perfect. In any case, you are buying these ear warmers to help you stay warm in the cold, and so you should not overlook the warmth aspect of the earmuff. Admit it; most people are selective with color. A poorly designed earmuff is an immediate motivation-killer for any runner. For instance, if you put on an ear warmer that is brightly colored, people will be staring at you as you run and this may turn to be a nightmare. If there is an aspect of your earmuff that will make your outdoor adventure enjoyable and comfortable is the design and color. Bright colors are only perfect for nighttime running. Otherwise, you should avoid them. 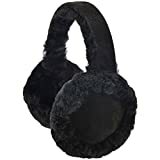 It is believed that “we get what we pay for.” As much as this may be true, you should not break your bank thinking that you will get the best earmuff. Some earmuffs in the market are affordable but still provide incredible services. So, you should know what your budget is and try to find something that will not force you to make additional amendments to your budget. Needless to say, shopping for earmuff might be overwhelming as there are many brands to choose from and all of them almost look alike. However, the research below should help you pick earmuffs that will ensure your ears are pleasantly warm. If you are looking for a sleek design that will make you look stylish while protecting your ears, then you should bank on this earmuff. They come in three colors: white, black and blue and therefore you can choose one that fits your taste and preference. What makes these ear warmers stand out is their ability to take calls while you are running. I thought this was a very unique feature and made these beyond just running ear muffs. According to many reviews on Amazon of this earmuff, the audio quality is excellent. The body of this ear warmer comes with a soft outer lining, while the fleece lined black cushioned interior makes your feel comfortable. Moreover, the built-in rechargeable battery lasts for a reasonable amount of time. They get eight hours of music tone, nice of talk time and a whopping 100 hours in standby mode. The charging duration also is admirable; 3.5 hours. These ear warmers are made to be compact so that they can effortlessly fit in your pocket or your bag. This ensures that your ear warmers do not eat up a lot of space when you are preparing to go out for a winter or morning run. With this product, you cannot go wrong, as the product guarantees maximum warmth and comfort. This is a perfect pick even for the most skeptical runners. These are the earmuffs that I ended up purchasing. Having been tried by many running enthusiasts in the world, these earmuffs have proven to be one of the best products ever invented. It is to know surprise that its manufacturer takes the biggest market share. Both the male and female models come with adjustable fit systems that are specialized to offer a perfect fit. These earmuffs feature a high quality sealed seams and water resistant feature which makes them long-lasting; they can efficiently block wind and moisture. The male version is made of wool to offer maximum warmth and a tech fleece outer shell that is wind-resistant to protect your delicate ears against the effects of strong wind. On the other hand, the female version features a stretchable fleece shell and an outstanding comfy faux sheer lining for maximum protection.When it comes to cost, these earmuffs offers an unmatched affordability. Arguably, they are the greatest value for your money. The positive reviews and positive ratings of these earmuffs on online stores prove that the level of comfort and protection at stake is unmatched. At the end of the day, this should be among your top go to earmuffs for running. You can get more details about this product here. If you don’t like those ear warmers band, whether it is at the back of your head or on top, don’t worry. The Fleece Bandless earmuffs come to your rescue. These earmuffs allow you to slip them right into your face instead of fixing bands at the ends. Why are the bandless earmuffs so popular? It is because they are light or something? That may be one of the reasons, but more importantly, it is because they ensure that your hair remains in its perfect shape – no band to mess up with your beautiful hair. Have you ever thought of an earmuff that can be worn with any head gear? Do you think there exists one? The answer is Yes and Yes. These earmuffs can be customized to fit any sans hat or headgear depending on your choice. Sometimes a traditional earmuff can be astonishingly trendy and modern. So, if you are looking for a traditionally styled earmuff at a reasonable price, then this should be your go piece. They are made of pure wool and some sheepskin linings to keep your ears warm during winter. Wide Sheepskin Lined Headband for Added Warmth and Comfort. If you are looking for more protection for your ears than what a typical hat can offer, these serve as a great earmuff. They are ideal for both men and women. It goes without saying that our ears are the most delicate parts of our body since they are made of a very thin cartilage that increases their sensitivity to wind and frost. With the right ear muffs for your ears, you can be confident to spend your mornings runner knowing that they will be taken care of. You need an earmuff that offers maximum comfort and protects your ears. Either way, you cannot go wrong if you follow the tips highlighted in this article. Keep your ears warm!